Woot Woot! SecureLogix and partner DHS S&T's cybersecurity R&D program is exhibiting at RSA Conference 2018! April 16 - 19 we’re demonstrating our Call Authentication technology as part of S&T’s 13 innovative cyber technologies that will help improve cyber security protections. 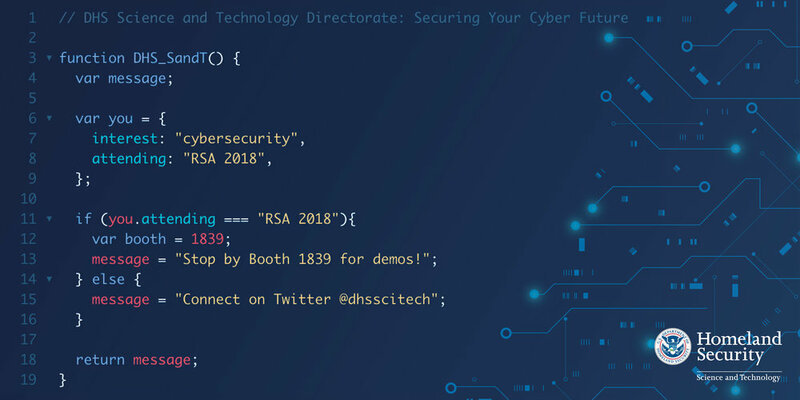 For demonstration details visit: https://go.usa.gov/xnu8Q, then connect with us at booth 1839 by registering w/ comp code: X8EDEPAR at https://www.rsaconference.com/events/us18/register. See you at RSAC. The Department of Homeland Security (DHS), Science and Technology Directorate (S&T) Cyber Security Division (CSD) develops innovative solutions to meet a broad array of cybersecurity challenges by leading and coordinating cybersecurity R&D across the U.S. Government, international partners, academia and the private sector. Stop by our booth to learn about our work and to see a demonstration!